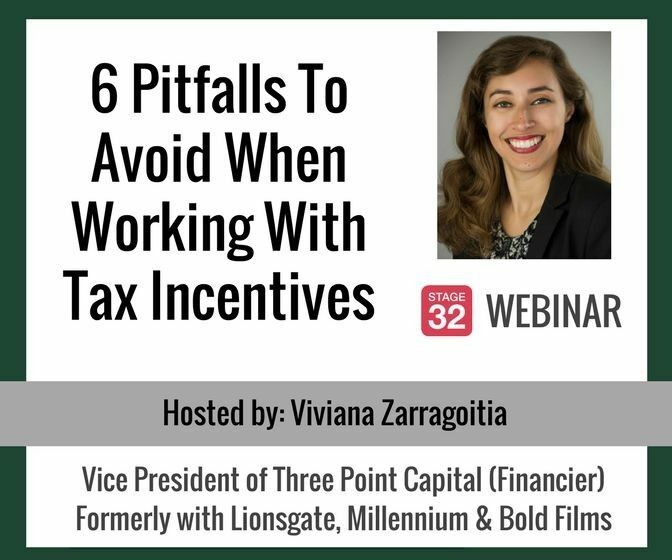 As the Vice President of Three Point Capital, Viviana Zarragoitia is one of the most prolific financiers who routinely lend on tax incentives, both domestically and internationally, on independent films. She is aware of the rules and regulations of tax incentives in many jurisdictions, and have spoken on numerous panels about tax credits. 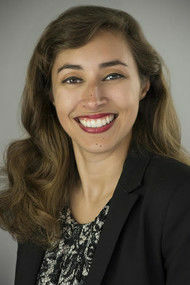 In this exclusive webinar, Viviana will be teaching what producers should be aware of when working with tax incentives. Although there are minor details that change within each state/country, there are some overall issues that come up in each jurisdiction that producers should be aware of when taking advantage of tax incentives for their film/TV project. These include, but are not limited to, things such as: corporate structure of the company applying for the tax incentive, making sure that costs in-state are qualified spend, working with tax incentive offices during pre-production, production and post-production, submitting final costs in a timely fashion, working with production accountants/CPAs on tracking qualified spend, working with lenders and filing tax returns to claim the incentives. Introduction – Overview of what topics will be covered and in what order. Pitfall #6 – Working with Lenders (evaluating expected vs. actual tax credit amounts, requirements of lenders, timing of financing and how that impacts cash flow, etc. Conclusion – Wrap-up, final comments, Q&A. Viviana Zarragoitia began her career in the entertainment industry working in production accounting at Millennium Films and Bold Films. She then spent 5 years at Lionsgate, where she started working in the accounting department and segued into the finance division, specifically, profit participation. While working in profit participation, she oversaw the preparation of multi-million dollar film and television distribution deals. She was then promoted to the group's audit division, where she managed film and television royalty audits of producers’ profit participation statements. In 2013, she joined Three Point Capital, a boutique firm that specializes in senior lending on film and television projects. While at Three Point Capital, Viviana has been involved in the financing of over 70 independent films, and worked with such producers as Cassian Elwes, Rob Barnum, Anthony Bregman, James Schamus, Aaron Gilbert, Kimberly Steward, Nicolas Chartier and Kevin Frakes, among others. 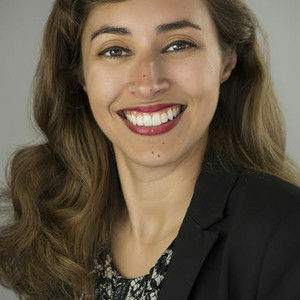 As Vice President, Viviana closes the financing on every film that the company is involved in, as well as manage the company's operations in its satellite offices (Ohio, Kentucky and Louisiana). Viviana has received over a dozen Executive Producers credits on titles she has financed. As the Vice President of Three Point Capital, Viviana Zarragoitia is one of the most prolific financiers who routinely lend on tax incentives, both domestically and internationally, on independent films. She is aware of the rules and regulations of tax incentives in many jurisdictions, and have spoken on numerous panels about tax credits. In this webinar she will cover working with transferable vs. non-transferable credits, give an overview of the states and countries that are most popular right now, the reasons why and the incentives that each of them offers. Viviana will also go through the general steps that are required to take advantage of tax incentives from beginning to end, as well as the requirements to qualify for tax incentives. She will highlight the importance of working with CPAs, the roles of production accountants and line producers, as well as how all departments in a production are affected. She will also use 2 states as case studies for how to go through the process of applying for and receiving a tax incentive. You will walk away gaining a deeper understanding of the details involved with tax credits; how to take advantage of them, how to monetize them and how to follow the guidelines to ensure they are in compliance with the rules. 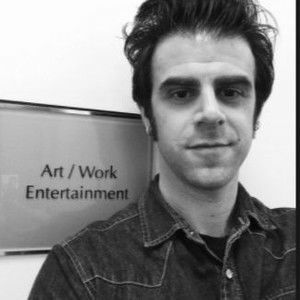 Join literary manager Spencer Robinson from Art/Work Entertainment as he talks about the state of the comedy writing industry for film & TV and answers questions exclusively for the Stage 32 community! Learn directly from Jon Reiss, a distribution and marketing specialist who's worked with Paramount Pictures, Screen Australia, Film Independent, and is the year-round distribution and marketing lab leader at the IFP Filmmaker Labs. Filmmakers all over the world are confronted with a changing distribution landscape for their work – how are they to approach the myriad of options whether traditional or emerging? No matter how you release your film filmmakers must be grounded in what their goals are and knowing how to engage their audience. This webinar will cover the essentials that all filmmakers need to consider before marketing and distributing their film: goals and audience. We will first examine the five main goals possible for a films release followed by three steps of the Think Outside the Box Office (TOTBO) audience engagement process: identification, connection, value. Learn directly from Laurie Cook, Producer and Head of Development at Bigscope Films, who's produced 4 feature films that have sold theatrically worldwide! Lured by generous tax incentives, many of Hollywood's biggest films have shot in London or are planning to head to the U.K. There is over $500,000,000 worth of public money to be spent on films each year in the U.K., and in 2012 there were over 250 films shot in the U.K. and over 600 films released there. It's a wonderful place to get films made, but the competition for finance and distribution is stronger than ever. What makes the film market different in the U.K than in Hollywood? How do you get your foot in the door as a writer, director, or producer in the U.K. film industry? Once you're in, how do you stand out from the crowd? In this Stage 32 Next Level Webinar, host Laurie Cook will guide writers, directors and producers through the independent U.K. film market from an insider's point of view: how to get funding for your script and film, how and why certain projects stand out against the rest, and how to boost your chances of success. This will be your go-to guide to navigating the U.K. film market and getting your film made in the U.K. You will leave with an agenda to make you and your project focused and well presented for maximum impact. 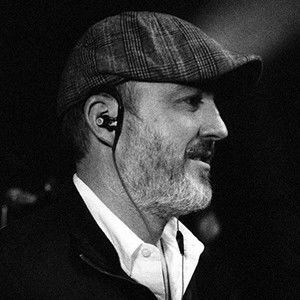 Your host Laurie Cook is a Producer and Head of Development at Bigscope Films, where he produced the films Pressure (starring Matthew Goode & Danny Huston) and Don't Hang Up (starring Gregg Sulkin) releasing this year, as well as Hangar 10 and Outpost, which were released in 2014. He knows the ins and outs of the U.K. film market, what executives are looking for when taking on projects and how to make your mark to get your script and films made. 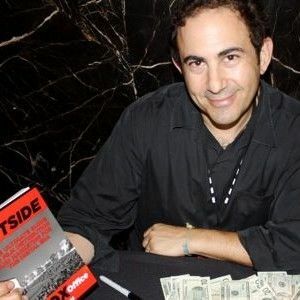 Learn directly from Nick Phillips, studio & independent film producer for nearly 20 years, who has worked with Bob & Harvey Weinstein, Sony Pictures Classics, Revolver Picture Company & more! You finally have the money to make a film. You’ve chosen a start date, you’ve found your locations. You’ve hired the crew and cast your actors. Now what? On any movie set, there are two major obstacles: time and money. They can be your friends or they can be your enemies. As a producer, it is your job to make sure that you utilize both in the most effective way possible and not go one second or one cent over. And while you do this, you must walk the tightrope between staying within that budget and schedule while simultaneously producing a film that is creatively satisfying and interesting, with production values that give the film the best chance at succeeding in a highly competitive marketplace. 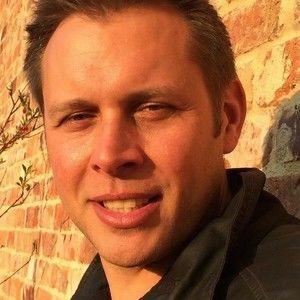 In this Stage 32 Next Level Webinar, Nick Phillips will walk you through the arduous, challenging, but ultimately rewarding experience of managing a film set. Having worked on sets for almost two decades, Nick has seen the process from every angle and worked with budgets and schedules that range from manageable to ambitious to completely insane. A working film set is a living, breathing thing, an eco-system with a myriad of moving parts. The days (and nights) are long, exhausting and will prey on your every last nerve. But if you’re armed with the right tools and the proper knowledge, you can sharpen your skill set to the point where producing becomes second nature and actually enjoyable! From location scouting to hiring to shooting days to the wrap party, this webinar will be all encompassing and you will leave confident and ready to manage your set! Learn the impact of film editing from international director/editor Max Leonida whose films have been screened and awarded at a range of festivals including the Sundance Film Festival, the Cannes Film Festival, the International Salerno Film Festival, the Columbia Gorge International Film Festival and the L.A. Short Films Festival, to name a few. “I love editing. I think I like it more than any other phase of filmmaking. If I wanted to be frivolous, I might say that everything that precedes editing is merely a way of producing film to edit.” (Stanley Kubrick) Some of the greatest, most iconic filmmakers of all times (like Scorsese, Hitchcock, Kubrick, Tarantino, Coppola, Lynch, Fellini, Gilliam and many others) used to spend hours, days and sometimes months into the dark secrecy of the editing room, sitting next to their faithful editor, enjoying the guilty pleasure of reshaping – over and over again – a world of their own. The post-production phase is the most critical one throughout the entire film production process… and editing, in particular, is a pivotal moment where as a filmmaker you should be able to understand that you are writing the final version and destiny of your movie. 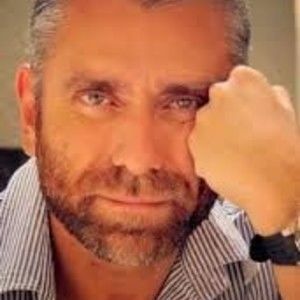 In this Stage 32 Next Level Webinar, international director/editor, Max Leonida will use his years of experience to give you a more profound knowledge of the artistic nature of the editing process, together with a clear, up-to-date and technical expertise about the most important digital editing systems on the market. Max's most recent films include Run (winner at 2013 MIFF and double winner at the 3D International Festival) and the feature film “What Separates Us”, Best Feature at the Machetanz Film Festival. Editing is not just a simple matter of pace, rhythm, and mere image composition: editing pertains to the core of storytelling itself. Every professional filmmaker knows that a closeup placed in the right place, at the right moment, can definitely chance the course of a narrative process. Editing includes re-defining the story, reconstructing the characters, reshaping the very structure to the point of even changing and re-dubbing the dialogue in a totally different way from the original script… all for the sake of beauty. And this webinar aims to give you these tools.